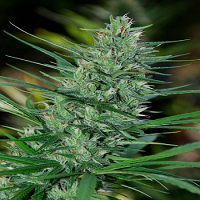 The Skunk Autoflowering is an old-school Skunk crossed with a pure Ruderalis from Kazakhstan. 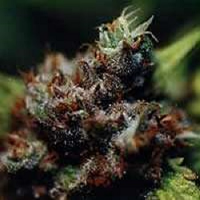 The result is an outstandingly performing autoflowering. 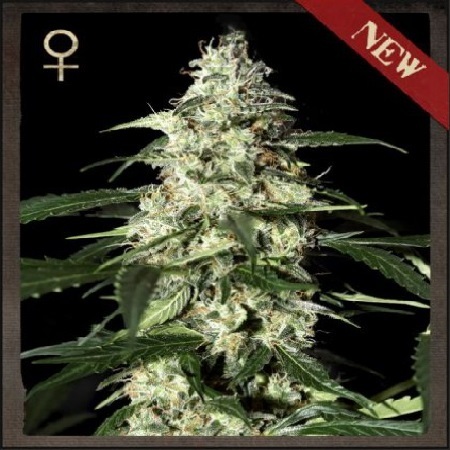 Skunk Auto Feminised Cannabis Seeds by Strain Hunters Seeds: The Skunk Autoflowering is an old-school Skunk crossed with a pure Ruderalis from Kazakhstan. 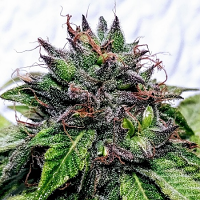 The result is an outstandingly performing autoflowering, with extreme vigour and great production up to 80 to 100 grams of dried material per plant. The structure of the Skunk Autoflowering is branchy, with medium to large internodes. 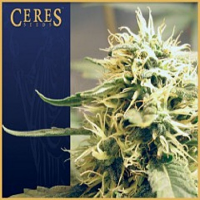 It is a medium-tall autoflowering, and it performs best when the plants are allowed to reach 90 to 120cm of height. The Skunk Autoflowering stretches fast during the first two weeks of growth, developing strong branches and lush foliage. The leaves are dark green, thick, with overlapping leaflets. 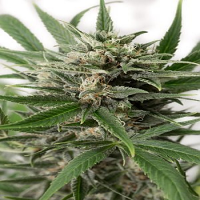 The Skunk Autoflowering is ready in 9 weeks total crop time, with a flowering time of approximately 7 weeks. The aroma and flavour are very intense with a dominant earthy smell and a caramelized background. All the intense notes present in the aroma are translating very well after combustion the plant is very robust, and does not suffer hot temperatures up to 30 degrees Celsius. The buds are slow to form during the first weeks of flowering, but develop very rapidly during the last few weeks, allowing growers to choose the ripeness of their harvest within a short time period at the end of the crop. The effect is fast hitting, intense, cerebral followed by a mellow but long-lasting body side. The complexity of the effect is very similar to the original Skunk. The medicinal effects of this strain are still to be evaluated.